In this article I will discuss how whey protein is made and why athletes should be wary of it. In addition, I will out the ingredients – and quite often processed additions – that are included to create a nice tasting whey protein isolate. Lastly, I will conclude with alternative solutions that still enable the right amount of protein without having to risk kidney issues. But firstly, let’s consider the levels of duress we put our bodies under when cycling or any other intense physical activity. Protein becomes paramount to our recovery plan. 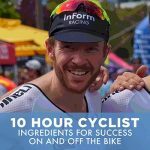 With most research suggesting that a solid dose of protein should be consumed within an hour of exercise completion, a protein shake becomes an easy and efficient way to fill this need. But with marketing hype blurring our vision about whey protein being the silver lining to our recovery needs, we’d like you to consider an alternative stance on whey protein before you buy your next tub of protein powder. 1. Do you know that whey protein is a liquid byproduct of cheese production? 2. Do you know that before someone figured out they could turn whey into a marketing powerhouse, whey protein from cheese production was discarded? 3. Do you know that dairy products are highly nutritional when cows are free range, grazing on grassy pastures? Yet, unfortunately, most cows are not free range and are fed processed grains in small, enclosed areas, significantly reducing the nutritional benefits of milk. So with this in mind, do you know which cows are producing your whey? Two big considerations of whey protein are 1/ what is it mixed with? Quite often there are many processed ingredients and sugars to lift the flavour and to extend the shelf life. 2/ if the cows producing the whey have been in factory farms the quality will be low, meaning our bodies ability to absorb and utilise protein by the muscles will be insufficient. Another important consideration with regard to dairy products is that milk is a highly processed product. Dairy milk is pasteurised at high temperatures and homogenised (fat distribution and removal). This processed milk is then taken through a manufacturing process to produce cheese. A byproduct of cheese production is a liquid called whey. Then, somehow, this liquid is dried and turned into a powder. But before we see it, in the form of an off-the-shelf product, artificial flavours, oils and sugars are typically added to create the chocolate or vanilla flavour that suits our taste buds. I don’t know about you, but to me this sounds like potent garbage and not something an athlete should be pumping into their body every day. It’s no wonder many liver and general digestion problems are linked to whey. Nutrition Warehouse offers Discount Bodybuilding Supplements and Accessories Australia Wide. Discounted Supplements include Balance Protein Powders and Musashi Protein Supplements as well as other Sports Supplements and Bodybuilding Supplements for losing weight or simply dedicating yourself to a healthier lifestyle. There are many alternatives to whey protein, such as soy, rice, egg white and even carob. I personally have a preference for pea protein. It is typically extracted from yellow split peas, meaning it’s a vegetable product that is highly valued for its digestibility and low potential for allergic response. 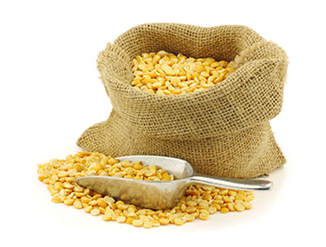 Yellow peas are a great source of natural vegetable protein. – Cysteine: A non essential amino acid but may be considered essential in rare cases for infants, the elderly, and individuals with certain metabolic diseases. It is essentially one of many building blocks to a strong immune system. – Methionine: Is an essential amino acid that helps the liver fight toxins and helps eliminate fat from the body. In other words a pretty important one. 1. Both of these amino acids are found in nuts seeds, eggs, vegetables, fish and red meats. So if these are present in your diet, then there’s no need to worry. 2. Rice Protein has efficient levels of cysteine and methionine so many people mix rice and pea protein together. Rice protein is actually weak in other essential amino acids that pea protein is strong in, like lysine, so rice protein is also not complete but works well with pea protein. 3. 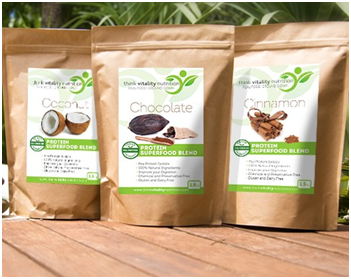 Try a protein supplement like Think Vitality Nutrition. Its base is pea protein, but its peripheral ingredients include seeds and nuts, increasing the volume of amino acids lacking in pure pea protein. It also provides many other nutrients that boost cardiovascular health and energy levels with the ultimate result being a highly digestible complete protein supplement. In summary, protein coming from natural sources that don’t need to go through an exhaustive manufacturing process is more likely going to be better digested by the body. 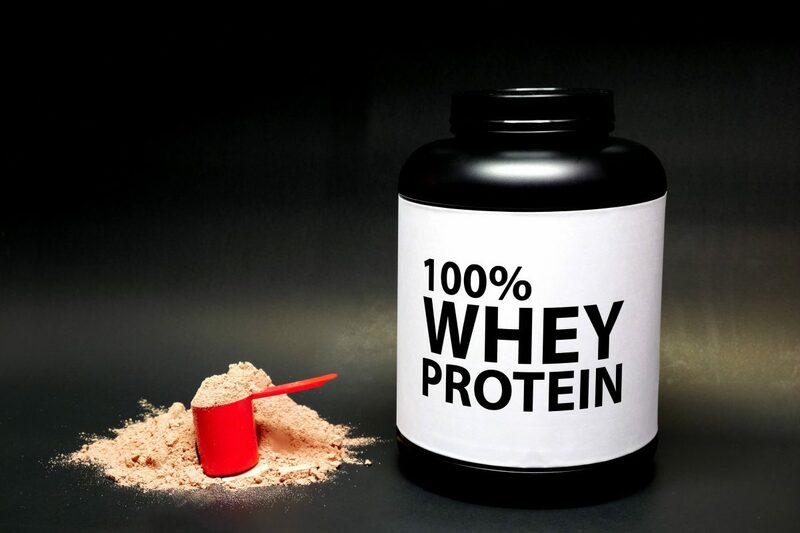 Whey protein is a complete protein, yes, but it is a highly processed product that may come from questionable sources. At the end of the day, the most compelling fact will be HOW YOU FEEL. If you feel like your body digests pea or other protein types better than whey, then your body is probably more efficient in the way it digests and distributes that particular protein. Give it a try and see how you feel. Nice work Corn Dog!!! Been thinking about this myself recently, might be time for a change. Thanks BHG! Check out the Think Vitality Nutrition stuff – works well. Garbage clearance is a better strategy to enrich your life with happiness in shielding you from germs and lots of harmful illnesses and so on. I use whey protein and plant protein and both work well for athletes. Normally I wouldn’t react to this sort of analysis of the nutritional value of whey protein but I think you’re not presenting a balanced view. I have worked in the dairy industry. I have no vested interest in promoting whey protein per say but I do have a really good insight into how whey is actually made. There is no black magic involved and anyone doing an investigative hunt can find out the real facts. Firstly, the majority of cows in Australia live outside and eat grass, not as you’ve stated (living inside and eating grains). The evidence is there in products. Australian butter is much yellower than European butter because of the levels of beta carotene in the milk. Beta carotene makes the butter yellow and is in much higher levels in grass rather than grains. European cows are mainly grain fed, Australian cows are mainly grass fed. There is nothing dodgy about pasteurisation. Pasteurisation is a process of rapidly heating and cooling the milk to destroy harmful bacteria. The milk is heated to 75°C with a holding time of 15-20 seconds before it is cooled. The nutritional value loss is miniscule. Cheesemaking is a process that has been used for the past 2,000 years. Over 95% of Australian households eat cheese. You won’t have had the pleasure of being inside a place where cheese is being made but I can assure you the amazing standards of hygiene and regulatory oversight puts Australian cheese production amongst the best in the world. Just like cheese making there is no strange processes involved in making whey protein concentrate, the type that is in most sports products. It comes in a liquid form that is fairly dilute after being separated from the cheese. It is then filtered to concentrate it and then dried into a powder. The end result is a high purity protein product with high bio availability. The major makers of whey protein concentrate then sell it as a bulk ingredient (just like the majority of plant protein makers) to consumer products companies who combine it with other ingredients into the final products that people buy. I’m not a fan of artificial sweeteners and flavours and as a consumer I vote with my wallet and buy the protein products that don’t have them. Most people will flavour whey and plant protein products anyway with other things because frankly they don’t taste great on their own. That’s an easy process to do – just put it in with a smoothie and you’re good to go. One more point that I think you should some more checking on – your claim “many liver and digestive problems linked to whey”. What researched medical articles have you been reading? It didn’t quote any in your article. As an aside – did you know that infant formula is formulated to be whey dominant in its protein? I’m not advocating formula over breast milk at all – breast milk is (by far) the gold standard of nutrition for infants. But if an infant is not breast fed, don’t you find it strange that the regulatory authorities worldwide would do this in infant formula if it was a threat to health? We’re talking our most vulnerable members of society with still developing immune and digestive systems. Granted if an adult has an unbalanced diet, relying solely on protein, they will run the risk of health issues (regardless of protein source). That’s just common sense. After all, we are what we eat. I’d always choose the natural alternative. First, because it will have a better effect on my body and will be more easily digested, and second because the more processed the final protein product is, the longer the manufacturing path and that involves more consumption of energy and other sources that can be otherwise saved. The more eco-friendly and organic, the better. If you’re after a natural alternative, choose either plant or milk protein powders. They both come from natural sources. If you’re after low processing and energy consumption, you’re wasting your time with either. 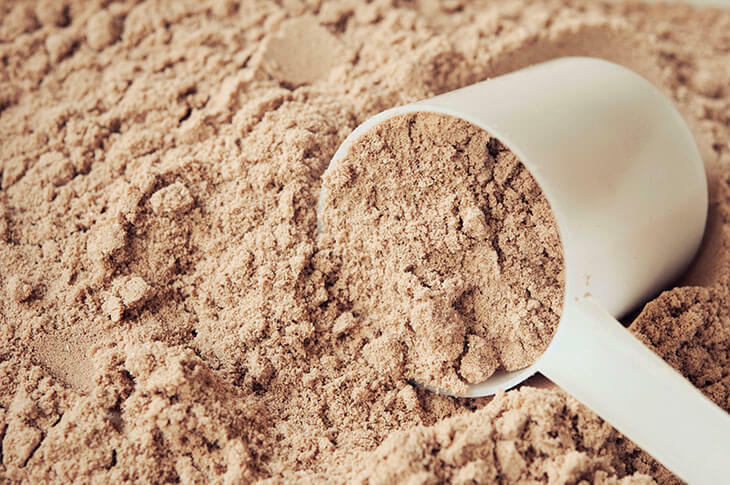 Protein powders offer convenience and concentrated nutrition and don’t get the way they are without significant processing steps and power consumption. Examples – pea protein powder bulk manufacture = pea drying>milling into flour>dispersion into water>slurry>fibre and starch separation>protein flocculation and separation>spray dry to powder>pack into bulk bag. Likewise whey protein powder bulk manufacture = milk receival>pasteurisation>skim off excess cream>addition of rennet>separate curd>filter whey>spray dry to powder>pack into bulk bag. The big energy step in both cases are spray dryers.